Then, one fine day, when I was driving my car mindlessly, not knowing how my minded drifted to the same topic, I was again deeply thinking about the ways that we could engage employees more in simpler ways and get them involved in more ideation and creation process. This, in my opinion, will create more avenues for the employees to gather real world problem and brainstorm its solutions and help them in their growth for their careers. I thought this could be a real problem that can be solved for the knowledge workers as a whole. Then suddenly there was a huge Volvo bus in front of me siding from the left and I panicked. Only then it struck me that I am still in the car and decided to defer the though process. When I reached back home, I immediately started noting down different methods of achieving the same and came up with a few list of points that can have a positive impact. Among those, hackathons being one among the top few contenders, I decided to write about them here in this post. 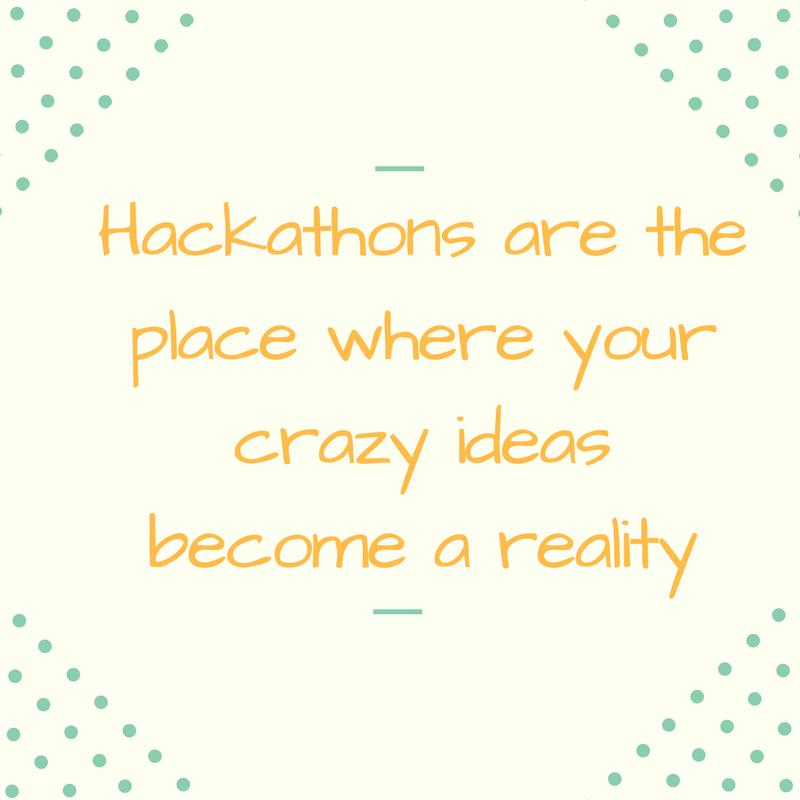 Hackathons in simpler terms, is a format of a competition where engineers from different domains come together for a few days (mostly one or two) and build a product within the given timeframe which solves a realworld problem and demo it to the panel judges. I identified the following as the crux of the reasons for which one should participate from the employee point of view. For the employers, I have a different metrics to confirm that hackathons do help in employee engagement. Ping me in any of my contacts below, to discuss more on this. Hackathon is ALWAYS less time, more things to complete. Probably, most engineers will feel pressured and will be on top of their game during the hackathon to complete their ideas. They could feel the happiness when tasks are completed, in the last minute rush. This could be addictive in itself. 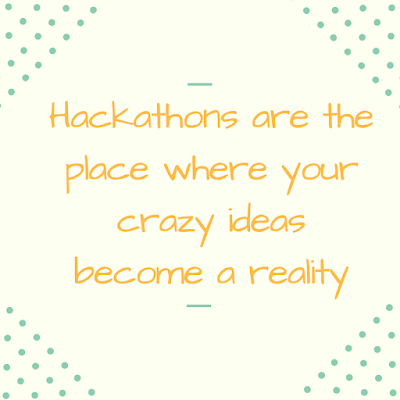 Those who want to experience working night long, sacrificing food, hourly updated excel sheets of tasks to complete, and random heavy metal music bang on their hearphones, they should definitely try hackathons atleast once. In a hackathon, new people from different domains come together to build something that is new and innovative. This encourages that the people that you meet will be almost new and you can forge new working relationship with people from different domains and departments. New contacts are never a bad thing! When teams are forged with multiple people from different technology stacks, you will definitely come to know about a few new things which you might not come across in your daily day to day work. Although you might completely learn this new trade of technology, you will definitely understand that there is something out there which does something cool. This will make sure that you hear about the new and cool stuff from authentic hackathon buddies. Have engineers ever been talking to marketing folks? Do they know what problems do they have in their day to day work which can solved? I think hackathons enable us to think beyond our immediate problem at hand and solve them for a crowd unknown to us and enable us to understand their roles clearly. The problem solving, with a brand new domain and will expand your brain more than necessary and make you think beyond your immediate circle of thoughts. This will go a long way in helping you get the necessary change of thinking for a life long of learning. I would close out with this quote from Einstein, "Only source of knowledge is experience". Go, do it. You can follow me at Twitter, Facebook, LinkedIn or my Website. I think you should write more.